Third in the series of lighted limited edition Itsy Bitsy Buildings. 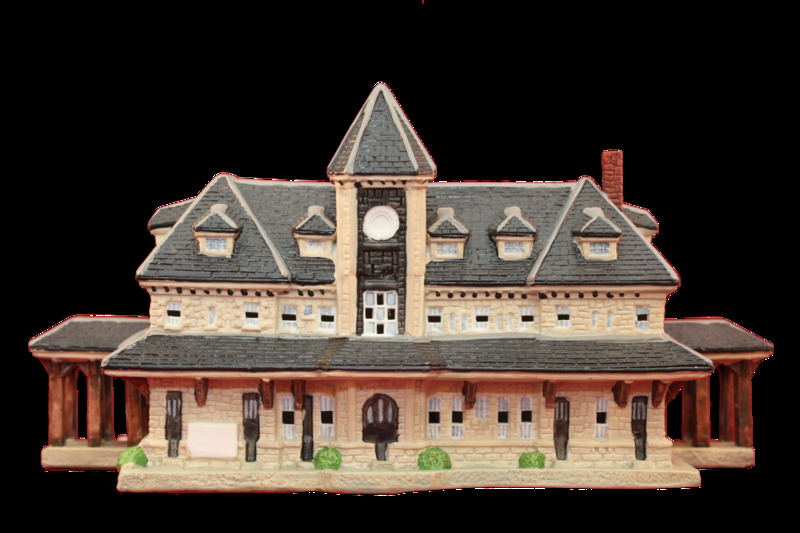 Construction of this beautiful Victorian Katy Depot started on April 1, 1895, replacing a two story building. Construction cost was $100,000. The citizens of Parsons placed a large clock in the tower which could be seen from almost every part of the city. This Parsons landmark burned to the ground on March 18, 1912.